There are many different ways to stick to a fitness plan. One way that is becoming increasingly popular is the use of fitness apps on electronic devices. For this week’s Fitness Friday, we are highlighting just a few of the free, top rated app choices for getting in shape. C25K is an app form of the running program Couch to 5K. The program is designed to get people from sitting on the couch to running a 5K, or for thirty minutes, in just nine weeks. The app starts you out slow, alternating between walking and jogging, with the goal of working your way up to the full thirty-minute run. Overall, the app is easy to use and has a timer as well as a written-out plan for the day’s run. MyFitnessPal provides a calorie counter, diet tracker and exercise motivator all in one easy to use app. The best part about this app is that it personalizes the goals it gives you off of your body type and the types of food you are eating. Freeletics Bodyweight allows you to focus on toning your body and building muscle. The app customizes a weekly workout plan that is tailored to your needs and body type. It also offers exercises that can be done in a small space. This 2×2 feature is perfect for those who are working out in a dorm or small office space. Sworkit allows for the user to choose what type of workout they want to do, including yoga, stretching, cardio or strength training. The app is really great for beginners because it comes with video demonstrations of all the exercises and varying intensities. This is an app for people who are looking to get stronger and gain muscle. 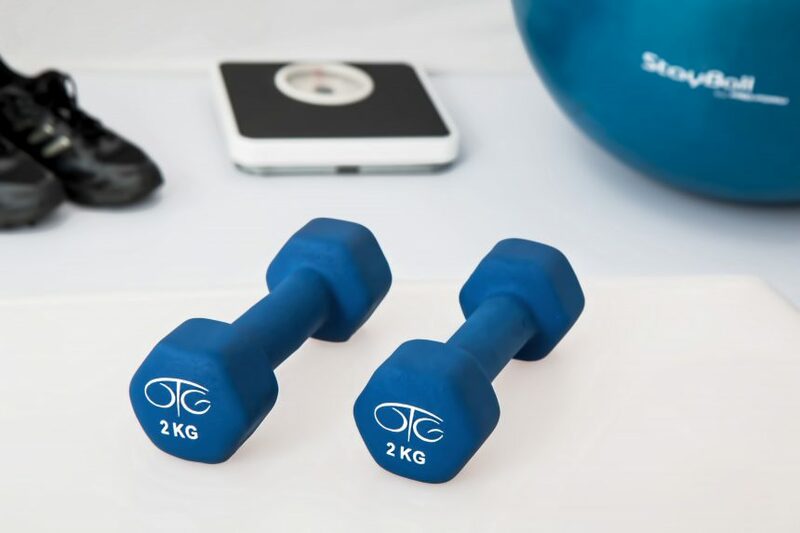 The app starts by asking you how heavy of weights you can lift for five basic exercises: squat, bench press, deadlift, overhead press and row. Using that data, the app generates a lifting plan to help you gain strength. The goal is to complete the workouts it gives you three times a week for as long as you are wanting to increase your muscle strength.